When I lazily checked my messages just over a week ago, I never expected what I heard. “Amy, it’s mom. Call me back as soon as you can.” My stomach dropped as I returned the call. Who? What was it? The who was my aunt. And it was a stroke. Having been an OR nurse for more than 30 years, she had been able to tell my uncle that she was having a stroke while it was happening. He immediately saw it on her face and had her at the hospital in less than 10 minutes. I’ve been to the hospital twice to visit her this week. The first time was the day after it happened. She was able to speak when spoken to and her humour was intact. “I’m so happy to see you.” I said. “I’m happy you can still see me.” She replied. The second time was Thursday, nearly 5 full days after it happened. She was able to carry on a conversation for nearly 2 hours with me. Her memory is intact and she is grateful to be alive. She knows it’s going to be a long road to recover but she also knows she’s going to do it. Thank God for her belief. She’s tapping into who she really is. Being an empath, I know how important it is for me to get into a strong emotional place before getting anywhere near a hospital. Tapping into the fear and sadness that is floating around is a strong possibility if I don’t raise my vibration and shield myself against it. I purposely chose my crystal bracelets to support me that morning, and kept repeating over and over in the car: “Everything is always working out for me. Everything is always working out for me.” It’s how I shut off my mind and tap into my spiritual truth. Eventually I settled into the meditation of driving and made peace with the quiet around me. I started listening to one of Abraham-Hicks’ rampages of appreciation and the tone was set. Everything is really ok. There is nothing wrong. It’s not denial. It’s knowing that even though there may be a problem with the physical body, the spirit cannot be harmed. This type of contrast creates a massive desire for wellness. I’m sure my aunt’s desire to be well has never been greater. I know my desire to keep my thoughts in a high vibrational place has never been higher. It is my intention to hold the space for her to be who she really is – full of love and light and completely whole. I know that I create my own reality and I know the power of my thoughts. Looking at my aunt and crying about her current physical state won’t help. She is not her physical body and it has nothing to do with who she really is. When I think of her, I think of her healthy. I think of her strong personality and her strong will. In my mind’s eye, I see her walking and talking and having a good time. I talked with her like I’ve always talked with her. I didn’t feel the need to yell or talk to her like she was a toddler, which all of the nurses were doing…why? I never understood that. I talk to everyone like they’re 30 and adjust as necessary. All I did was encourage her and help in any way I could. This meant counting each and every blessing with her. There wasn’t a pity party because my energy wouldn’t allow it. It was easy to lead her into appreciation because in that moment she was already there. There will be moments of depression and sadness for sure, but I know my energy brought forth hope and a lot of love. I gave her a neck and shoulder massage with essential oils (thankfully I had some in my purse!) and gave her drops of water on a sponge. I wish I could have done more but I did what I could. On the drive home I saw so many 666 licence plates that I lost count. I’ve seen them everywhere since. And I was thinking about my aunt today when I saw one. I was turning into my son’s school to pick him up and there it was: 666. And I kid you not, when I left the school 10 minutes later, the first licence plate I saw read AAA 666. I can’t make this stuff up! The number 666 reminds me not to get caught up in what I see. What ‘is’ doesn’t matter. What ‘is’ gives us a starting point so we can think about where we want to be and what we want to create in our lives. It helps us to carve out where we want to be. The real magic happens when we start moving toward what we want to create. I know we are eternal beings and I know that all is well. I know that death isn’t real. It’s just an address change. We take the lessons and the love and leave our aging bodies behind. I could be sad. But why? I’ve let myself mourn the aunt I knew for a few passing moments and each time it felt awful. It’s not who she is. So I change my thoughts and find the blessings. I know that more love is going to be born out of this situation than if it hadn’t happened. I know that the desire for a healthy body is greater than it’s ever been within everyone around her. I know that the blessings will become greater and greater. She doesn’t want me to see her like this. It’s not who she is. And I told her that I know. I told her that I see her full of love and light and that I know who she really is. We cried together for a brief moment as we hugged. There is no shame in what her physical body is going through. None at all. 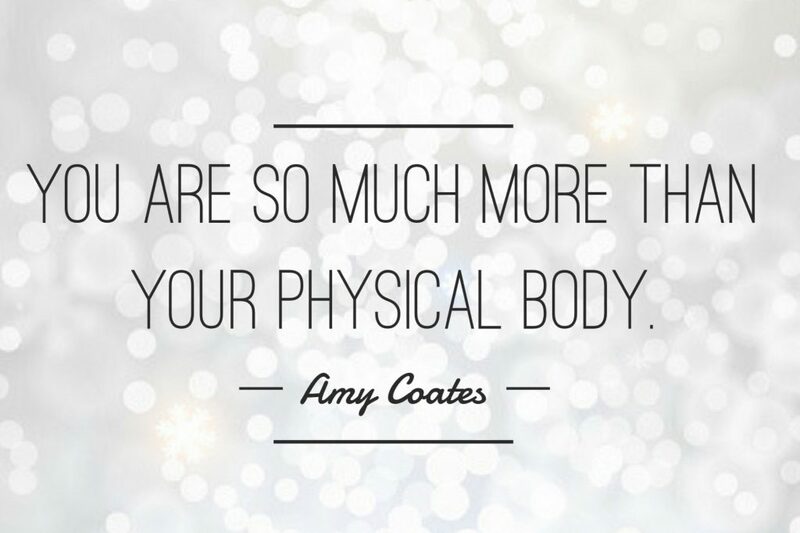 She is so much more than her physical body. What I know for sure is that our thoughts create our reality. The whys of life don’t matter as much as what we’re going to do about where we are now. I know that life is what we make it. We can’t change the past, but we can change the trajectory of the future in an instant. I know that everything is always working out for us, and I know that the answer to everything is love. I know that love is all around us. I know that the propensity for us is to be healthy. And I know that we are never alone. We are constantly being guided by immensely loving beings. We just have tap into it. Love is the key to everything.